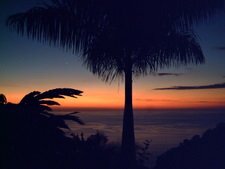 It helps to have some knowledge about the Manuel Antonio bus schedule and taxi service if you choose not to have a rental car during your visit to our area. The local buses and taxis are a convenient, hassle free way of getting around. 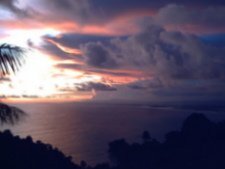 But there are a few things that you should be aware of so that every minute of your stay in the Manuel Antonio and Quepos area is a pleasant one. Just about every fourth or fifth vehicle that passes by in Manuel Antonio is a taxi--either legally registered taxis or illegal "pirate" taxis. The legal ones are typically bright red, ALWAYS with a yellow placard on each side. The pirate taxis could be any other type of color with no placard. A new legal company is now servicing Manuel Antonio for people who call for a taxi pickup from their location. These taxis will have an emblem on the side and come in all colors, except bright red. 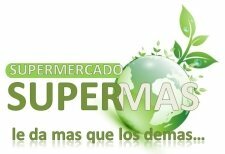 They, too, will charge the typical 500 colones collective rate for a ride to Quepos. I'm assuming that they are insured like the red taxis. feeling lucky AND in a big hurry. The fare from Quepos all the way to the beach and park is typically around 3,000-3,500 colones ($6.00-$7.00) with lesser amounts for shorter distances. The fare to go in the direction of Quepos is ALWAYS 500 colones ($1.00)/per person, no matter what the distance, because the taxi is "colectivo", meaning that the driver will try to fill the taxi with passengers along the way back to Quepos. ALWAYS ask how much the fare will be to get where you need to go BEFORE you get in the taxi. If it sounds like alot more than it should be, politely say "No, gracias". Expect to pay a little more at night, though. Sometimes, a colectivo taxi will suddenly become a much more expensive private taxi, if you're the only passenger and a dishonest driver thinks he can get away with it. Again, ALWAYS establish the fare before you get in so there's no misunderstanding. If you or your hotel calls a taxi for you, expect to pay at east 2,000 colones ($4.00) more as opposed to one you flag down in the street. It will be a private taxi no matter what direction you're going. "Taxistas" are generally honest and friendly. After all, you're their livelihood. Don't give the dishonest ones ANY opportunity to rip you off. DON'T expect the taxi driver to have change for larger bills. DON'T expect them to speak English. 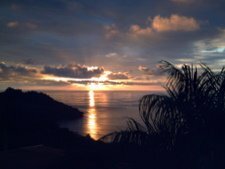 The Manuel Antonio bus schedule is generally dependable with respect to buses running between Quepos and Manuel Antonio. They're the least expensive way to get around and a good way to rub elbows (literally) with the locals. The fare is ALWAYS 250 colones/per person ($.50) both directions. Remember, though, a colectivo taxi is only 500 colones/per person ($1.00) going toward Quepos. 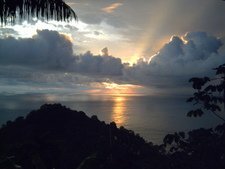 The Manuel Antonio bus schedule from Quepos to the beach begins at 5:45am, then 6:45am, then every hour and half hour from 7:00am-7:00pm. In the evenings it's every hour from 7:00pm, 8:00pm, and 9:30. The full travel time from Quepos to the beach is about 25 minutes depending on the time of day and the time of year. There is a separate bus that periodically runs to Biesanz Beach and back instead of the main beach and back for the same 250 colones. It will have a sign for Biesanz Beach in the front windshield. 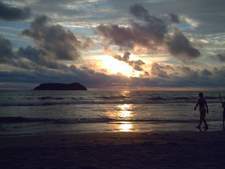 It does NOT go to Manuel Antonio National Park and main public beach. DON'T expect the buses to pick you up or drop you off in non-designated locations along the route, though sometimes there is a drive to raise more money by breaking this rule during slow periods. DON'T expect the driver to ALWAYS be friendly and patient with foreigners or tourists. Even though Costa Ricans (Ticos) are a very friendly culture it has not been my experience with some bus drivers. I used to take it personal but now I just chalk it up to the tedious nature of their work. If you're not at all sure which stop on the route is closest to your particular destination, tell the bus driver where you need to go as you get on the bus. Then ask a Tico to let you know when your stop is coming up. Actually, I already knew where the embassy was, but didn't want to spoil such a beautiful moment of spontaneous kindness, so I pretended to be a very grateful tourist. Maybe you'd like to warm some hearts with a similar story of Costa Rican kindness? 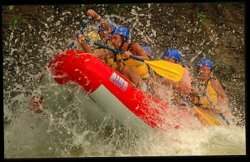 If so, click here to go from Manuel Antonio Bus Schedule And Taxis to Manuel Antonio Stories. 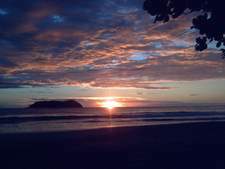 Direct buses to San Jose leave from the beach at the time indicated in the Quepos and Manuel Antonio bus schedule. You can catch the bus at designated stops along the way to Quepos as long as you wave your ticket as the bus approaches. Otherwise catch it in Quepos. Direct buses from San Jose to Manuel Antonio stop in Quepos and then continue on toward the beach. Tell the driver where you need to get to as he departs from the Quepos stop. Occasionally, the driver chooses NOT to continue on toward the beach, in which case, "politely" have him give you the amount of taxi fare necessary to get to your destination. 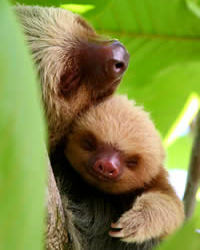 After all, you paid for a Direct Bus To Manuel Antonio. Direct buses take about 3 hours, non-direct (colectivo) buses take about 5 hours. Colectivo buses from San Jose only go as far as Quepos.